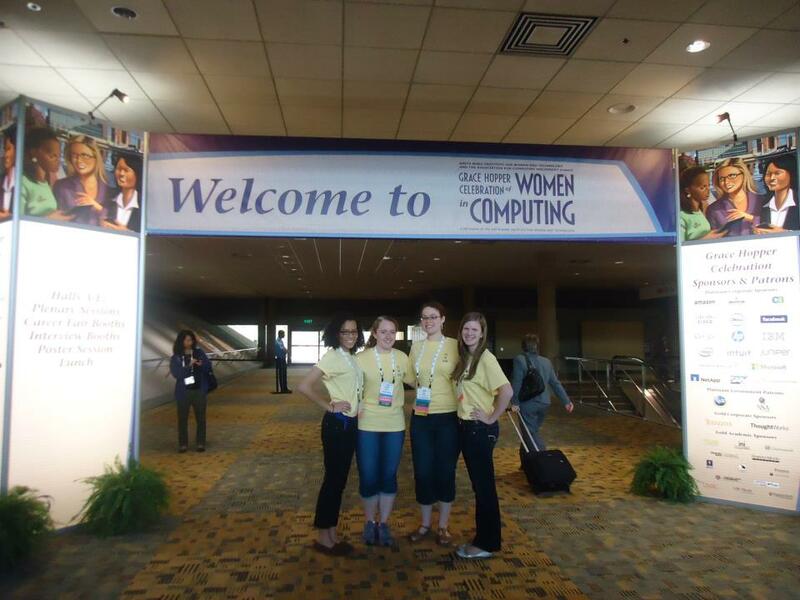 Alexus McGriff ’18, Karishma Patel ’18, and Professor Sara Sprenkle attended the 2016 Grace Hopper Women in Computing Conference, in Houston, Texas, October 18-22. 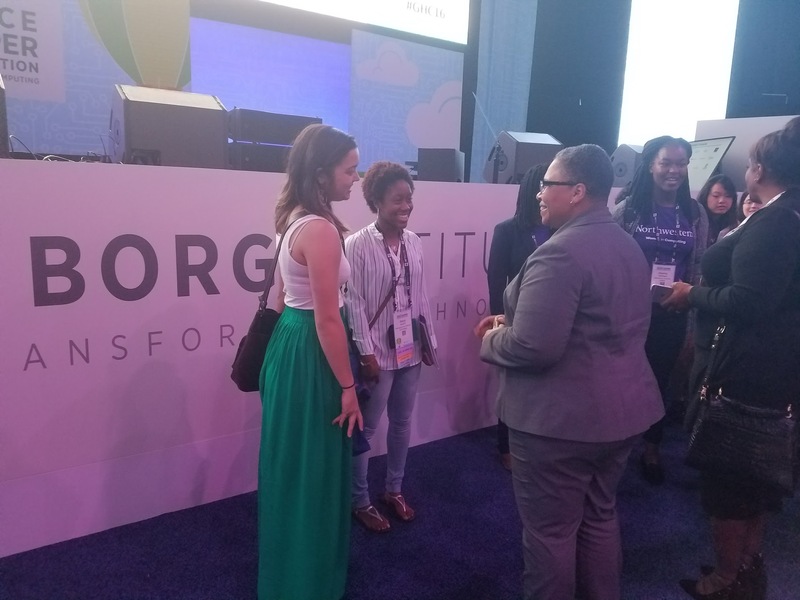 The primary focus of the Conference was technical and professional development with a highlight being that Alexus was awarded a scholarship to attend. 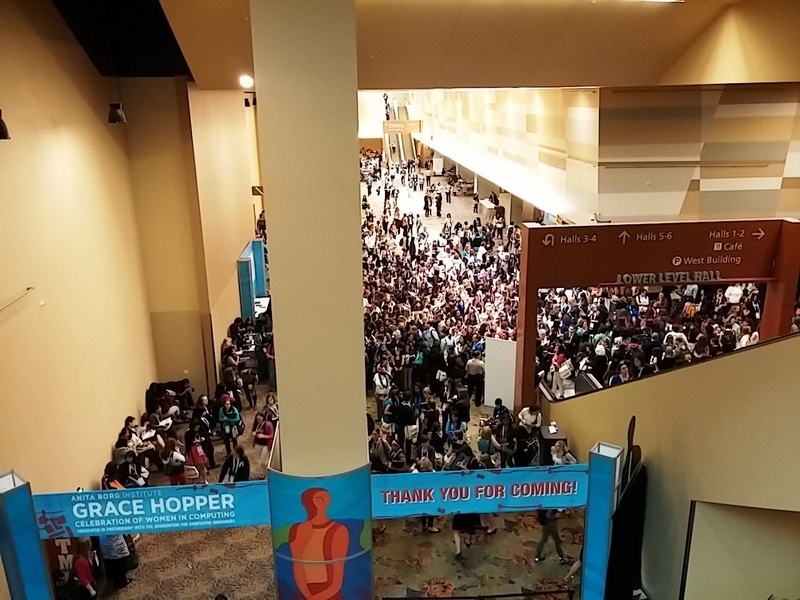 The conference has grown over the years to about 15,000 attendees–this one being the biggest GHC conference yet. This was Prof. Sprenkle’s 9th Hopper Conference and she attended, in part, as Co-Chair of the Faculty Track. Her first one, in Vancouver, had about 600 attendees. 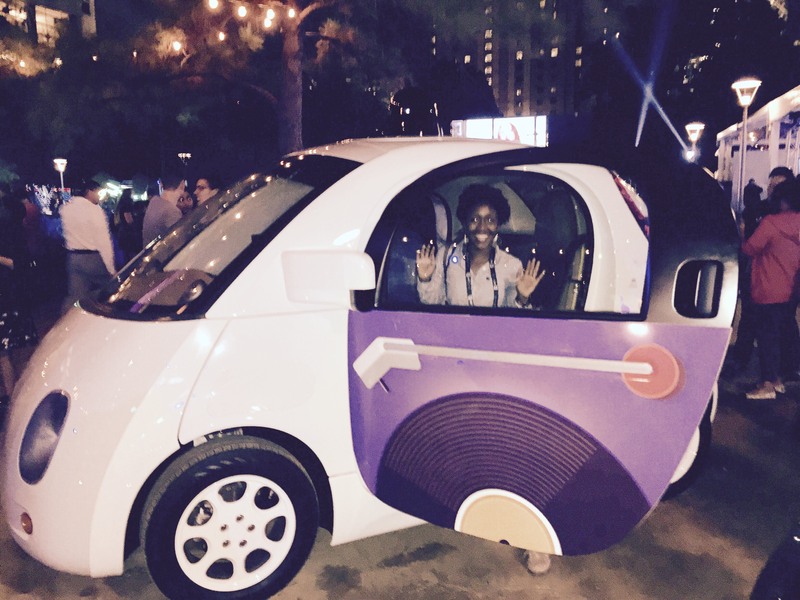 With GHC expanding to 15,000–it’s a completely different experience now! Prof. Sprenkle excited (perhaps a little too much?!) 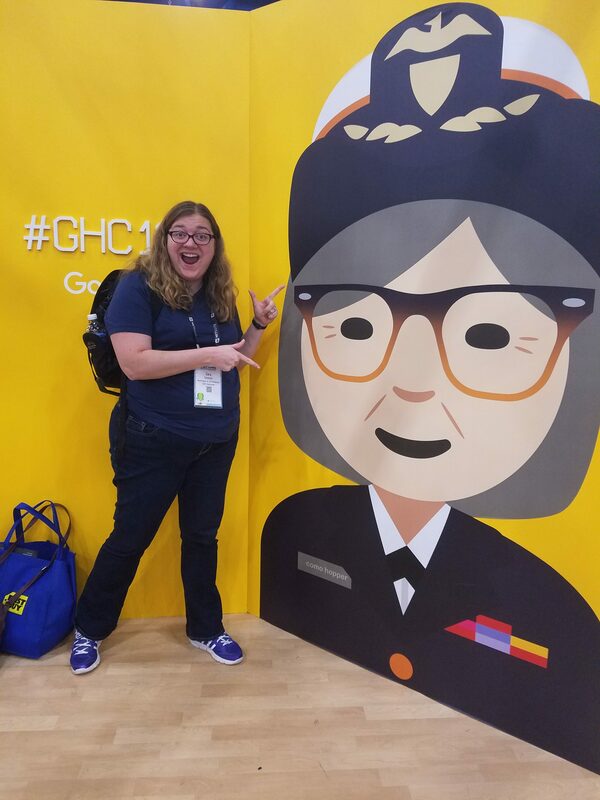 to get her picture taken with a cartoon version of Grace Hopper! And here’s a little movie of Karishma and friends having fun at the Google booth! 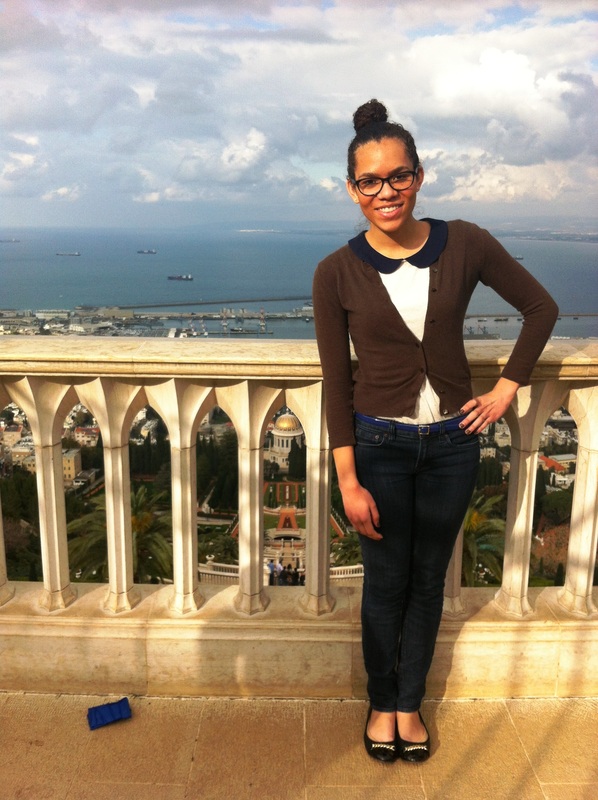 Standing near the Baha’i Gardens in Haifa! Sooner or later, everything connects. It’s the middle of finals week, and everyone is in their own headspace. As a student body, we’re over-caffeinated, we’ve had too little sleep, and I think it’s safe to say we aren’t busy thinking a lot about how beautiful the world around us is (although with the improved weather these past few days, that isn’t as true as it could be). However, all I can think about is this time a year ago. I was so excited to finish my second semester of Real Analysis, and little did I know I was about to get an email that would begin easily the best year of my life so far. The night after finals ended, I got an email from a research lab offering me a position in their Research Experiences for Undergraduates (REU) program for the summer. If you don’t know about the REU program, it’s a National Science Foundation-funded program aimed at, as the name implies, making research experience possible for undergraduate students who may be interested in graduate-level research. In particular, the program aims to provide opportunities for students from smaller liberal-arts colleges to experience research at larger research institutions. In my case, this was the Institute for Creative Technologies (ICT), an Army-funded University Affiliated Research Center (UARC) at the University of Southern California in Los Angeles. A position in the Narrative Group at ICT seemed right up my alley – investigating how people experience, interpret, and narrate the events of their lives. I got to work with Andrew Gordon and Melissa Roemmele, two researchers in the Narrative Group, who are working on modeling behavior interpretation and narrative-generation. 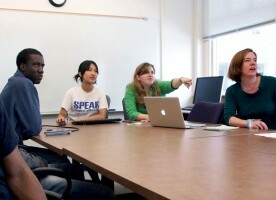 The program took about ten undergraduates and ICT also hosted many graduate interns and international research students. Over the ten weeks of the internship, I saw research more intimately than ever before, met some of the most intellectually passionate students I could imagine, and got to experience the bizarre transition from Lexington, Virginia to Los Angeles, California. For some students who participate in REUs, the experience ends with the summer. However, I was lucky enough that Andrew and Melissa allowed me to help with a conference submission- a short paper describing the findings so far, as well as the methods we used in the first steps of generating narrative based on behavior. As an undergraduate still not really sure whether I was hoping to do research in the future, I wasn’t at all expecting the paper to be accepted into the conference. I had emailed my advisor, Professor Levy, about the possibility of department funding for conference travel, but I worked actively to keep my hopes down. When the date on which authors were supposed to be notified came and went, I was disappointed to be sure, but I figured it was for the best in the grand scheme of things. A day or two later, I got an email from Andrew – the paper had been accepted. I was simultaneously stunned and excited, and emailed Professor Levy once again as a shot in the dark. “Professor Levy, is there any possibility that funding would still be possible for the conference? The paper was accepted.” With both department support and a scholarship for travel from the Association of Computer Machinery, I registered for the International Conference on Intelligent User Interfaces and booked my first international plane ticket, trying to figure out how I would make it from Lexington, Virginia all the way to Haifa, Israel during a school week. 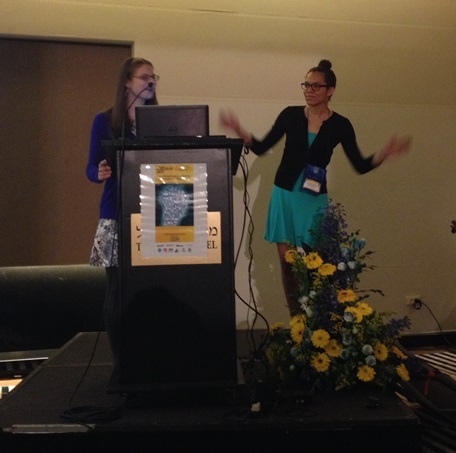 Melissa and I acted out a quick game of Charades to convey the idea of interpreting behavior automatically. 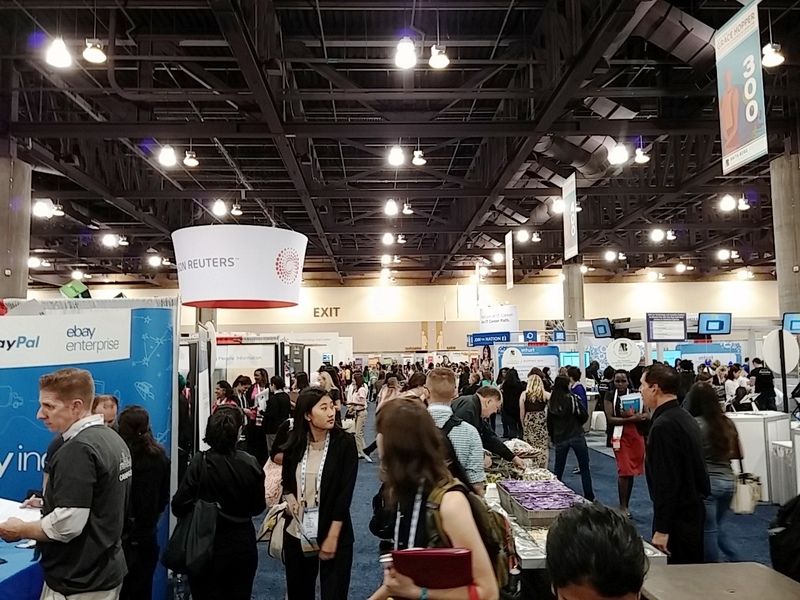 The conference on Intelligent User Interfaces is focused on the intersection of Artificial Intelligence and Human-Computer Interaction. This takes a host of different meanings, from recommendation systems and intuitive map interfaces to multitouch typing, layered stereoscopic displays, and interface adaptation for users with impaired dexterity. If technology is becoming ubiquitous, how do we make it as intuitive as possible? Can we simulate the way we already think about and interact with the world? Before this February, the farthest that I’d ever been from my hometown of Austin, Texas was the ski town of Whistler, British Columbia in 2003. The most indispensable part of this conference for me was the experience of being so far from home, meeting people from around the world who have written in the same field as me, and scheduling my time out of the conference so I could see as much as possible of Israel. 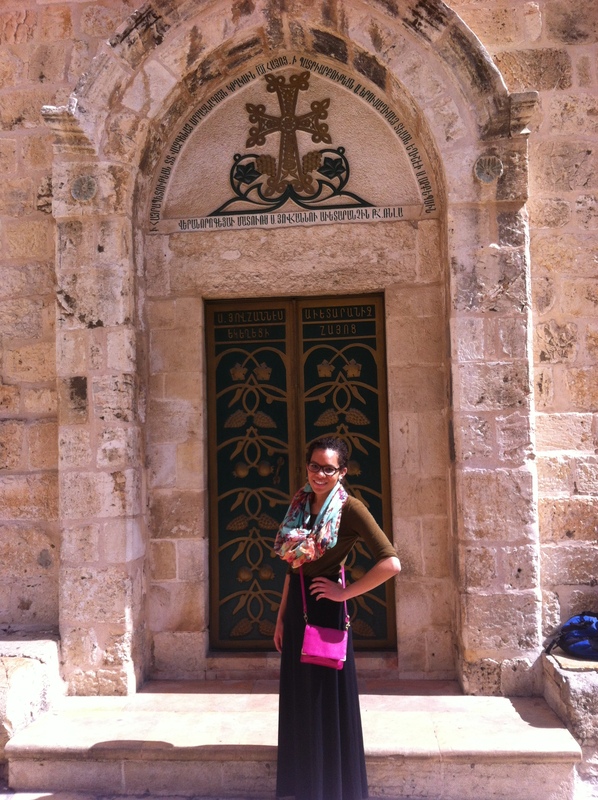 Standing in front of the Church of the Holy Sepulcher in Jerusalem! Because neither of us had ever been to Israel, Melissa Roemmele and I travelled together. We arrived in Tel Aviv a day early and, over the course of our time there, managed to see what we could of Jerusalem, Haifa, Akko, and Tel Aviv. The entire duration of the conference, I felt for the first time in quite a while that I truly knew what I was doing. Everything I had done up until then led me to a demo session meeting a graduate student whose father and sister both went to W&L; to sitting across from a graduate student from Japan who that night won Best Paper at the conference; to hearing about the potential of the Heider-Simmel Interactive Theater project from Wolfgang Wahlster, that day’s keynote speaker. I have never felt so continuously starstruck as I did talking over lunch to people I had earlier that day heard speak eloquently, hopefully about the future of intelligent interface design. I don’t know that I’ve ever felt as hopeful or as inspired as I did that week, and in the time following the conference. In under a week I managed to see more of the world than in my twenty years combined. While it was a sharp change coming back to Lexington, back to classwork and short writing assignments and club meetings, I’ve never before felt like I know what I’m doing, like anything is possible and the future is right ahead of me. I’m not a sentimental person, but I can’t help but muse on how beautiful a year it’s been, on how far I’ve come and how much further there is to go. As I go into my first final of the term today, for Women’s and Gender Studies, so many perspectives we’ve discussed this term revolve around the necessity of narrative. Everything we experience in life comes down to how we frame it. How we narrate the events in our lives says a lot about those events, but it also determines how we interpret those events. Sooner or later, everything connects. What a year and what a world. 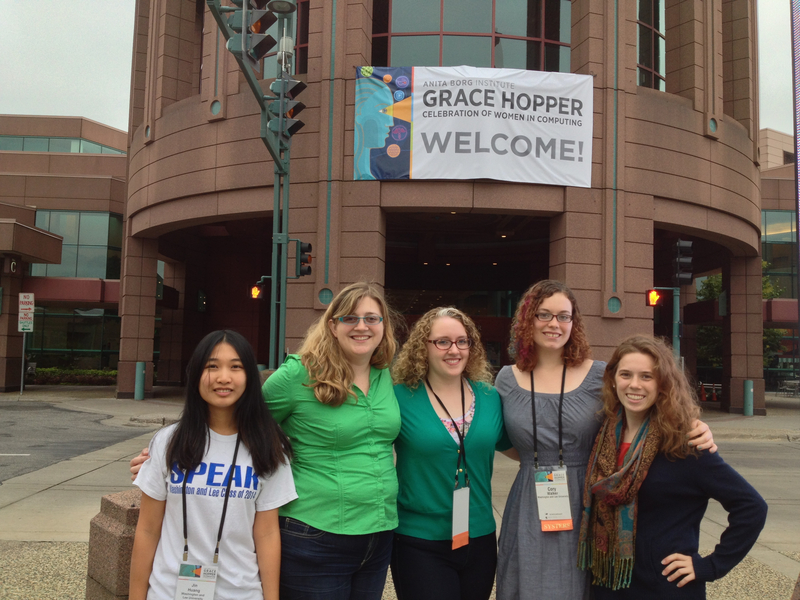 W&L at Grace Hopper: Are We There Yet? 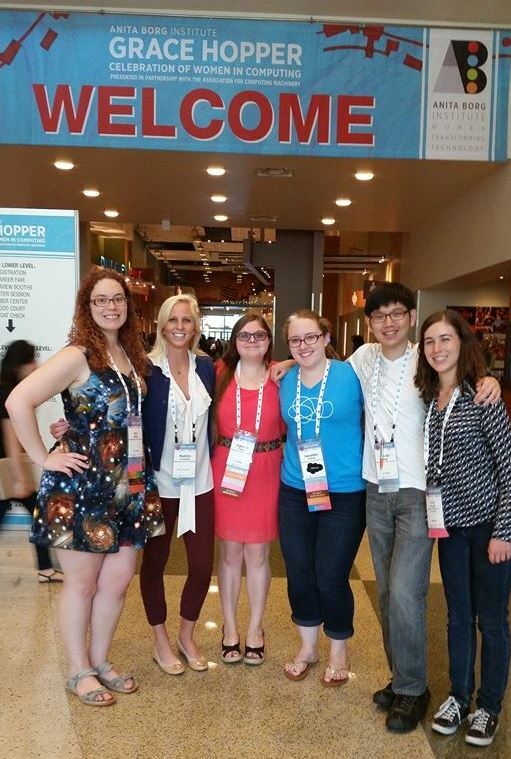 Six students and one faculty member represented Washington and Lee at this year’s Grace Hopper Celebration of Women in Computing in Baltimore, MD. The student-focused conference features both technical and professional development sessions. Alicia Bargar ’13, Samantha O’Dell ’15, and Cory Walker ’15 were awarded ultra-competitive scholarships to attend. 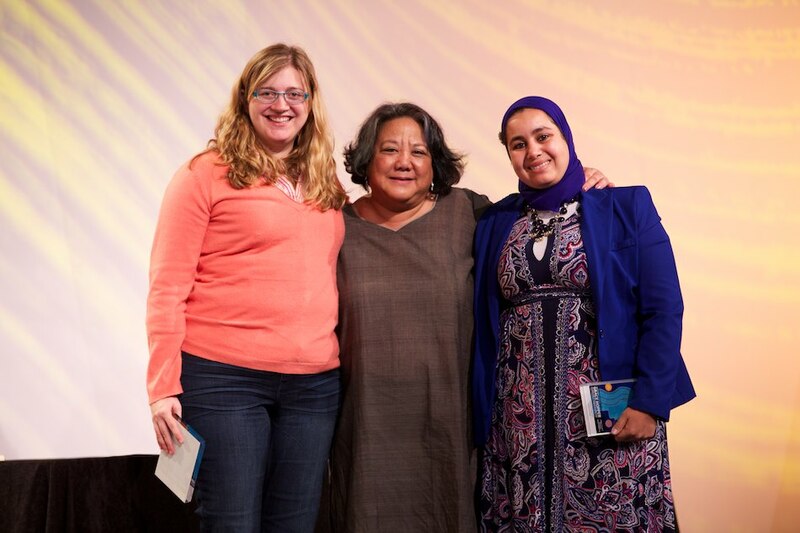 Having three scholarship winners from W&L–out of 300 scholarships awarded and many, many more applicants–is quite impressive! Haley Archer-McClellan ’15, Deirdre Tobin ’15, and Wenda Tu ’14 were generously supported by the Provost’s Office. 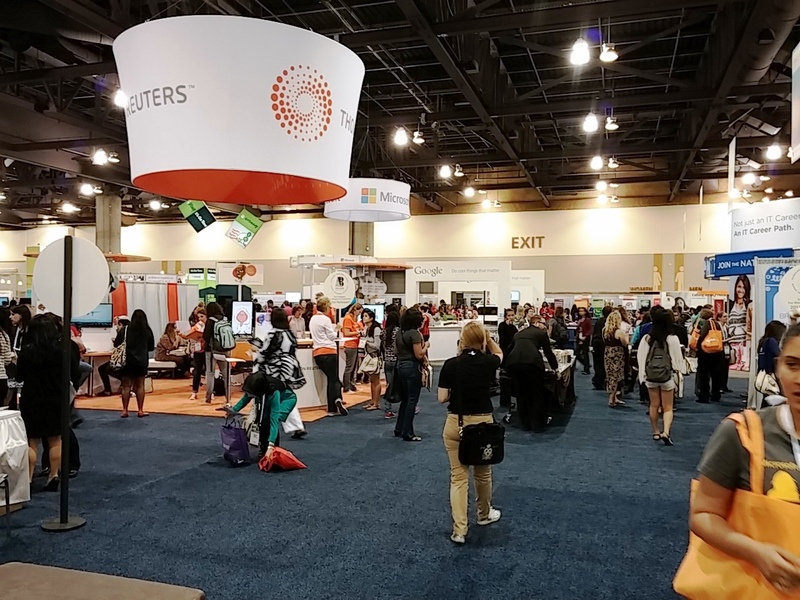 All students agreed the conference was an inspiring and motivating experience and the career fair opened their eyes to a lot of opportunities. Wenda met an executive from GE and had an enlightening conversation that covered some diverse topics, including material for Wenda’s Feminist Social and Political Philosophy course. 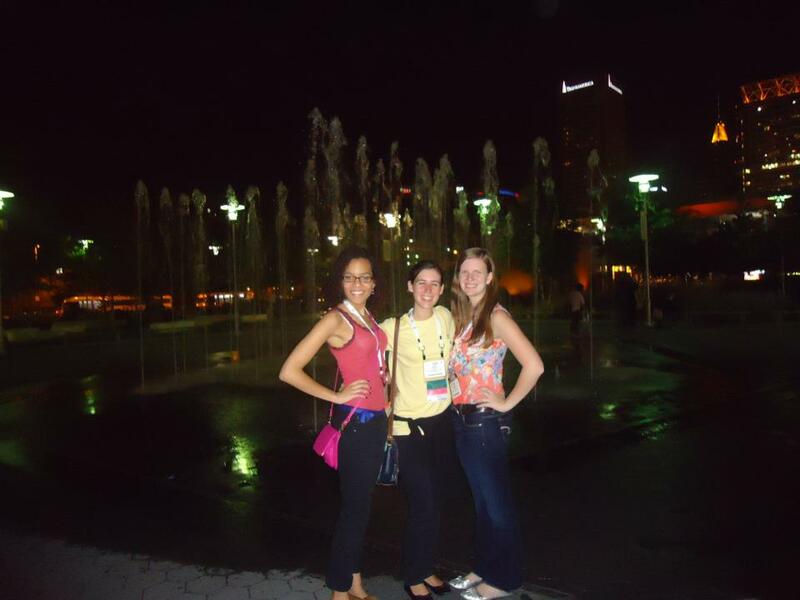 Haley, Alicia, and Deirdre at the Inner Harbor. The RockIT Science and Systers 25th Anniversary Celebration was held at the Maryland Science Center. Professor Sprenkle attended the conference as a representative of the GHC Academic Advisory Board, helped lead the Faculty Speed Networking session, helped organize the Faculty Lightning Talks, and served as a judge of the undergraduate student research competition. The theme of this year’s conference was “Are We There Yet?” While the answer seems to clearly be “no”, W&L is definitely making strides in the right direction. 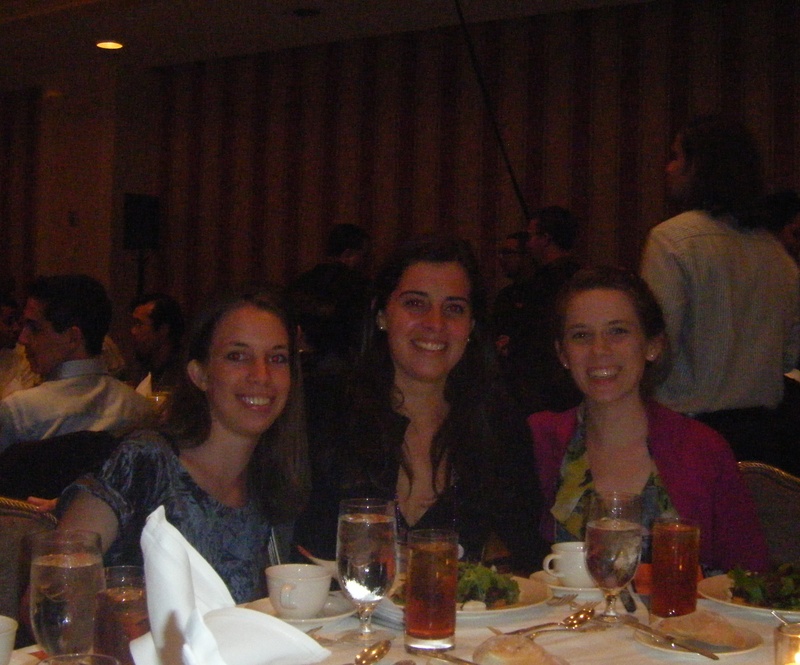 Camille Cobb ’12, Anna Pobletts ’12, and Lucy Simko ’11 were awarded scholarships to attend the Richard Tapia Celebration of Diversity in Computing in San Francisco in early April. At the conference, they presented posters of their research on automated web application testing. Their research projects were funded by the CRA-W/CDC Collaborative Research Experiences for Undergraduates, which had an informal gathering at the conference. 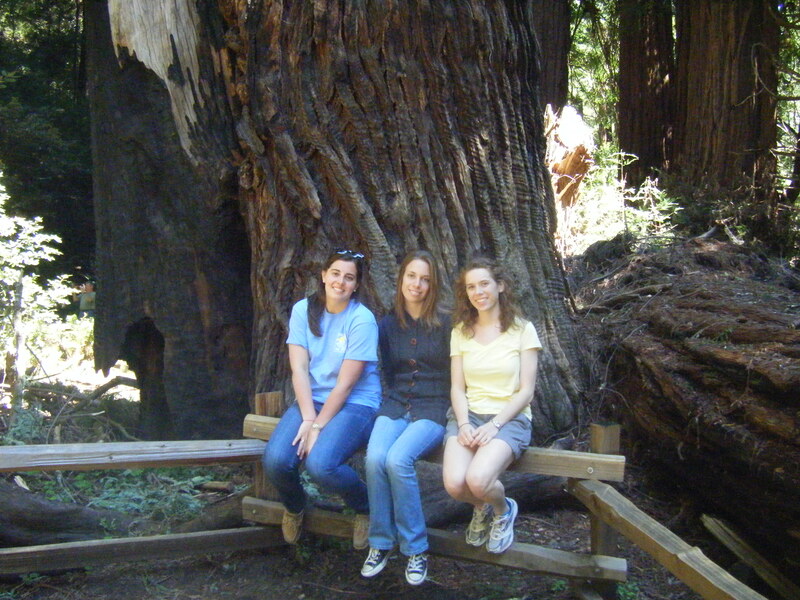 Anna, Lucy, and Camille (left to right) in a Redwood forest the Sunday before the conference.